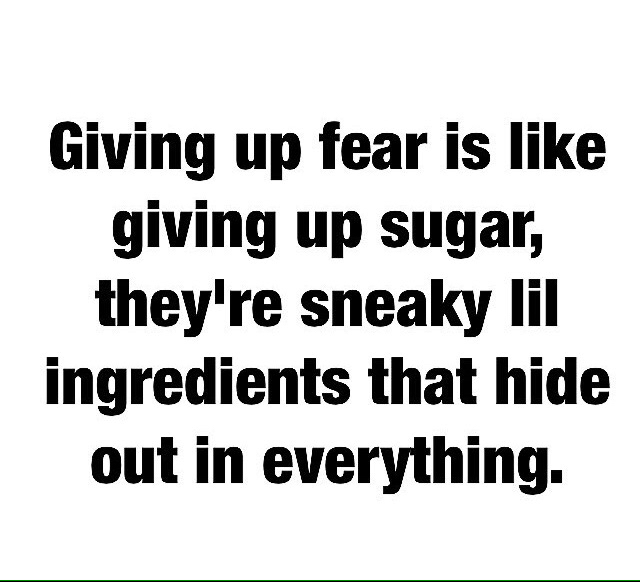 Fear is like sugar. Sometimes you&apos;re so used to it in little teeny doses that you don&apos;t realize it&apos;s causing havoc on your truth! on your vision! And in your life! Get clear on old habits & patterns that are NOT working for you! Don&apos;t let that "stuff" become your normal. Fear is a liar. Envy is a liar. Not enough is a liar. Failure is a liar. Defeat is a liar. learn new habits and recondition your beliefs that you were taught or surrounded with that are no longer true for you!! Cut the fear out! Cut the sugar out! Dance it out, write it out, sweat it out, detox it out, sing it out! Get around people & places & environments that uplift. motivate. encourage. Empower. radiate. Rewrite your story! Fill up on truth & get it into every cell of your being! Fill your CUP! Life is too short.